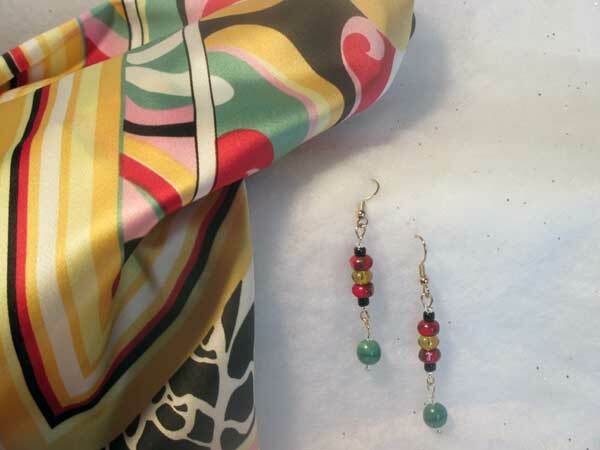 This vibrant scarf is loaded with color and pattern. The dominating colors are red, black white, and buttery yellow. Light pink and sage green are in lesser amounts. The earrings hang 1.75" from the finding loop. The top section has fully-faceted golden rondelles surrounded by two red/grey rondelles and black and silver seeds. The bottom dangle is a dark sage round with silver seeds.